Raul Zavaleta has over 20 years of international experience in managing enterprises in the healthcare industry and is currently a partner at Volatus Advisors, an enterprise development services firm for emerging companies in the fields of information technology and life sciences. Mr. Zavaleta participates actively in the professional growth of Central Indiana through his active involvement with several emerging companies and through his membership in the Board of Directors of the Indiana Health Industry Forum. Mr. Zavaleta also serves in the boards of the United Way of Central Indiana, the Arts Council of Indianapolis, and the Indiana Sports Corporation. 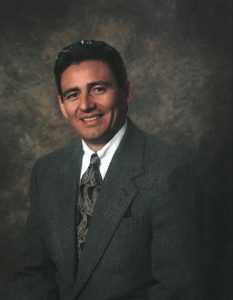 Mr. Zavaleta received a Bachelor of Science degree in Chemical Engineering from UCLA and currently serves as a member of the UCLA Foundation Board of Directors, actively participating in the Investment Committee, and recently finished a three-year term in the Board of Visitors of the UCLA School of Medicine.